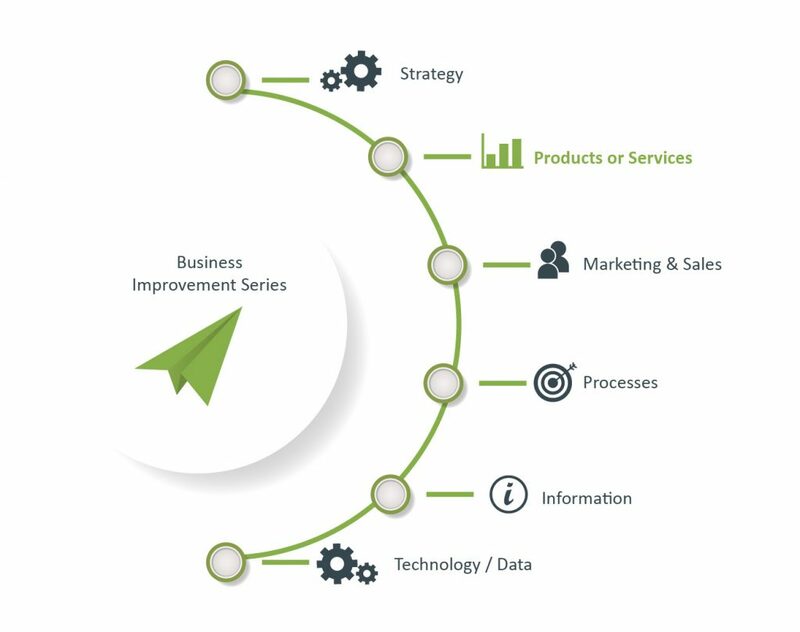 Previously in our Business Improvement Series, we talked about the importance of strategy, vision, and direction. Now it’s time to discuss how we make that vision a reality. Determine what products/services can help you to achieve your business goals. What does the competition look like for this item (or service)? How does your product or service set itself apart, if at all? A business must look at the combination of these questions and their answers to see what the best product/service mix should be. For example, a custom high-end cabinet maker has a different market and different processes than one who supplies higher volume and lower cost products to large condo developments. Both produce cabinets, but they need different equipment, and different production layouts to maximize their own profitability. It is very difficult for a custom cabinet maker to go after a high volume contract because they are competing against companies that excel in that market. It’s so important to know where your customers see value and know how to maximize your margins. Look at what prices customers are willing to pay—if you offer small upgrades, can you charge a premium price? Or, perhaps it makes sense to offer one of your products at a loss to get customers through the door. In order to make decisions like this, calculations must be performed to look at the margins across all the products or services and optimize the overall outcome for your business. Have you thought about your marketing and sales strategy? Are you going after new or existing customers? And do you know what your capacity is to handle each of your products/services? If you sell too much of your product and can’t deliver, you’ll have dissatisfied and upset customers. It’s also a big problem if you produce too much or invest in increasing capacity without having the sales to support the increased overhead costs. At the end of the day, your products and services must match the market demand and your internal structures must be set up to ensure that your business remains profitable and efficient. Most importantly, your customers have to see the value in your offerings to keep them coming back. Do you know exactly what your customers are looking for? Do you know what your biggest demand is? Are you servicing that demand in the most profitable way? Have you analyzed your margins on each product line to determine where you are most profitable? If the answer to any or all of these questions is “No”, or the thought of figuring these things out is a bit overwhelming, give the Rise Advisors Business Improvement team a call. An initial consultation is always free. As successful delivery of products creates a strong brand, hence marketing and sales system must be adequate to keep existing customers engaged and find more new customers.